better than i could have imagined: Parker turns 7! 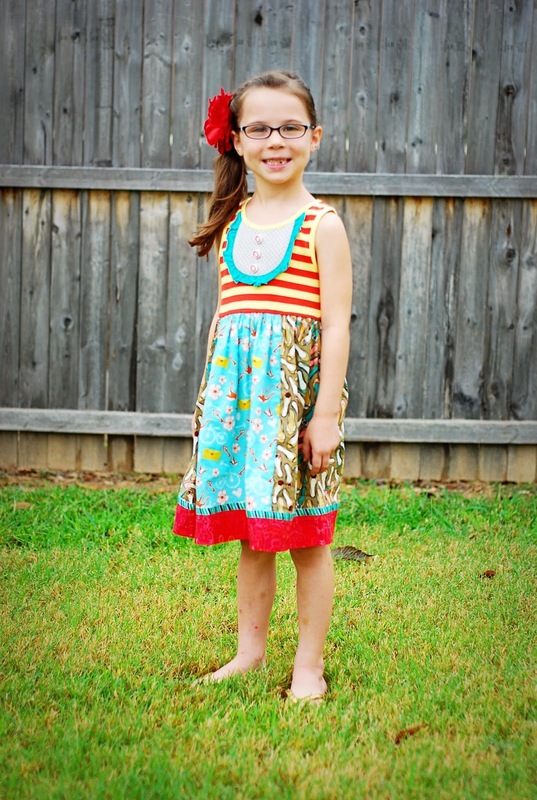 This past Thursday…our oldest baby turned 7 years old!! 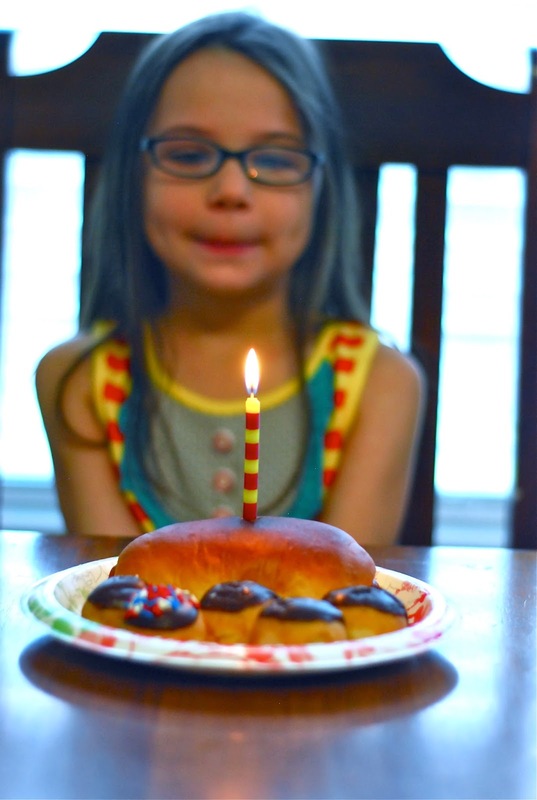 As with all of our littles' birthdays….it is definitely bittersweet. Six was a semi-rough year for us. And over the summer…she's just grown up so much. And I am really so proud of the little girls she's becoming. Thursday was a fun family day. 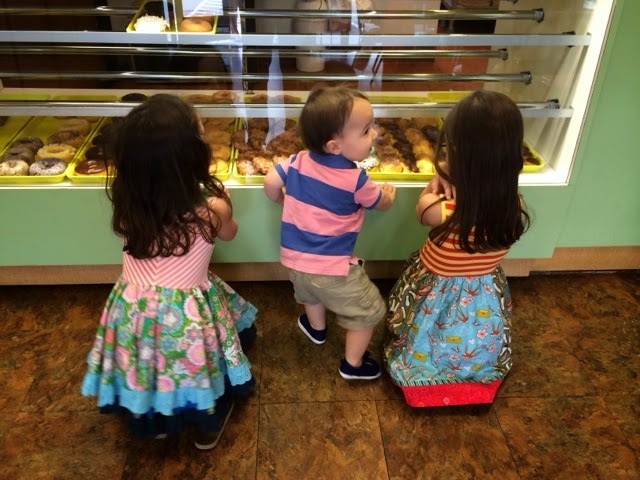 Geoff took all 3 of the kids to get donuts while I finished getting ready for our day. And we needed to start the day with a candle and a wish! Parker has wanted/been asking for an American Girl doll since last November, I believe. And I have put her off….and at some point decided…that if she still wanted one by her 7th birthday, she could get one then. They aren't the cheapest dolls, and the girls have never even really been into dolls. I just wanted to make sure she was ready for the responsibility. And I'm so glad we waited. I think she definitely appreciates it more having had to wait…and has also matured over the last year. We finally get to THE American Girl store. Haha! And she looks around…trying to decide what she wants. We go from this doll to that doll. 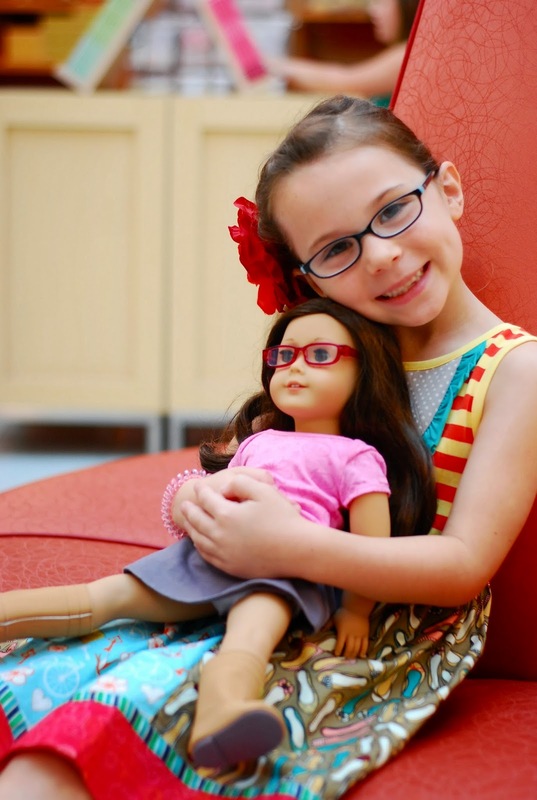 A little back story….she had originally told me a few months ago that she did not want a doll that looked anything like her. And I'm not sure what exactly changed her heart….but she wanted the brown-haired, brown-eyed, freckled doll. And she wanted the glasses! (another thing she had originally told me she did not want her doll to have). And I. love. it. She has black glasses and a pink pair…and as soon as she got home, she put on the pink pair. And she also asked me to put Polly's hair in a ponytail on the side. :) And she named Polly. She wanted a 'P' name…like her. Again-I'm just so proud of this girl she is growing into. Sure…it's bittersweet….time does not stand still for anyone! And just 7 years ago…it was her. Only her. She was my only baby. She made me a momma. And as much as I thought I could….I could have never imagined how being her Momma would be. And it's amazing. It's definitely not always picnics and posies….but worth it. She got several phone calls from family throughout the day…and also a few emails and messages…and it was so neat because she was able to read them herself this year…and I know it made her feel so special. 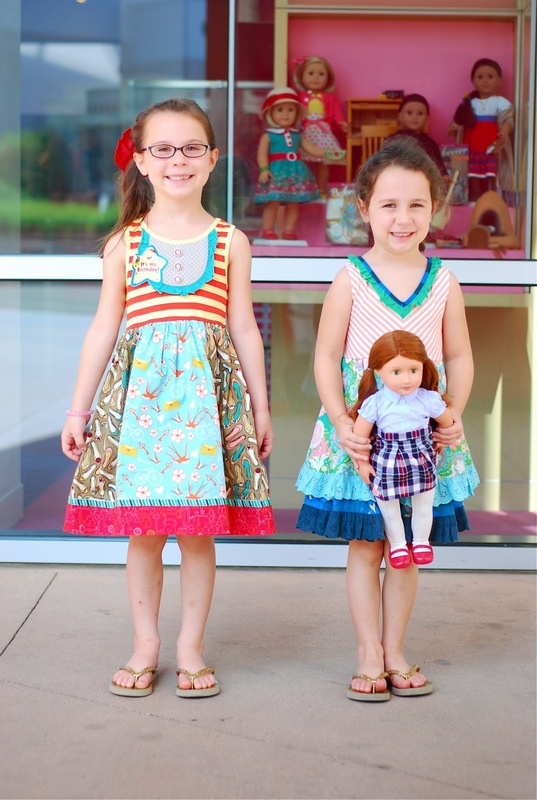 Once we returned from the American Doll store…we had a very lazy afternoon. 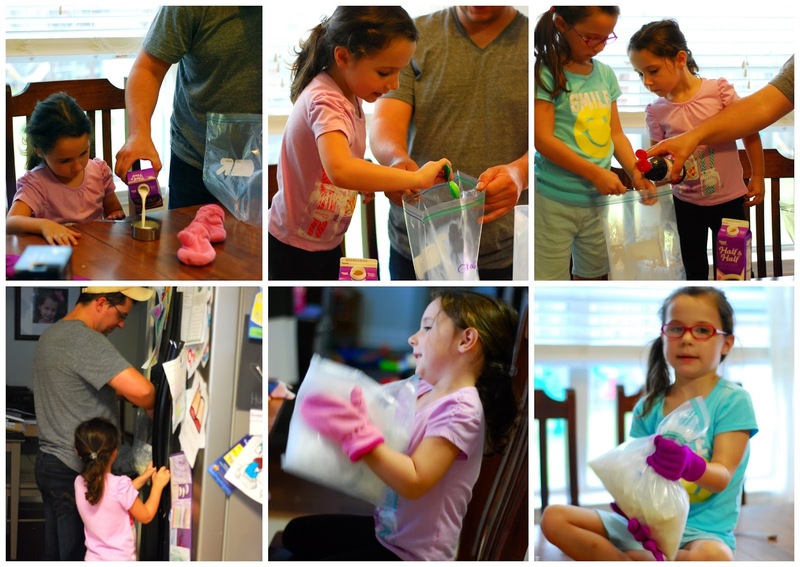 And cupcakes and 'ice cream in a bag' for dessert! 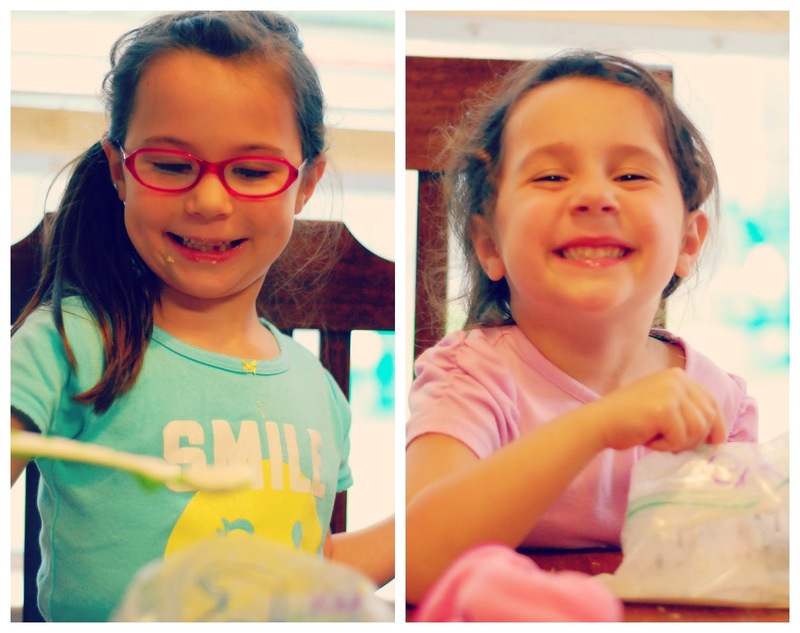 (we were reviewing letter Ii this week…so making our own ice cream was all too fitting). Ice Cream in a Bag for the win! We will definitely be doing this again! I think birthday #7 was a success! Sounds like a wonderful day! Tell her I absolutely love Polly! She is beautiful, cute and sweet just like her! What a perfect day! She is growing up WAY too fast!